The sun is shining, and it looks like spring today. How that makes my heart sing! Dreamweaver's March "clean and simple" stencil challenge. So here it is Jessie, hope you like it! and soft pastel for the bird. awww....this is a darling card Joyelle! Thank you for playing along with the challenge. 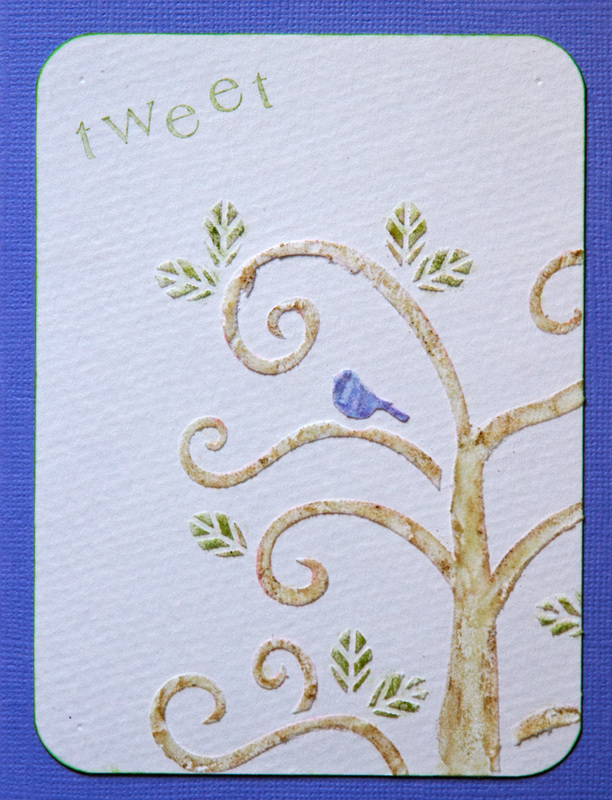 Love that tiny blue bird! Great card for this month's challenge! Play some more! Great job!!! I can't wait to see what you create this week!!! Keep up the good work!!! LOVE IT, Joyelle! I'm so excited that you're joining the challenge :) Good Luck!